Imagine "Smart Fit" prefolds are like Chinese prefold diapers and DSQ prefold diapers (diaper service quality) except 100% cotton twill from India and sewn in Pakistan. 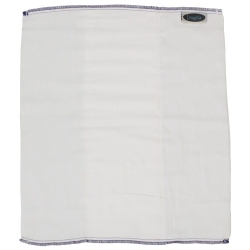 Indian cotton is known to be a superior material used in prefolds. To improve the quality even more they are stitched with high quality thread and the stitches are reinforced. Plus, a special process is performed during manufacturing to eliminate pilling! "Smart Fit" prefolds are cut shorter and wider to fit into diaper covers better, often without any folding in the rise necessary! 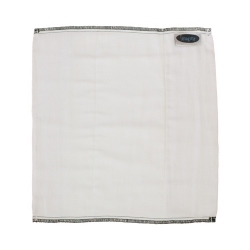 They are soft, highly absorbent, and super durable. 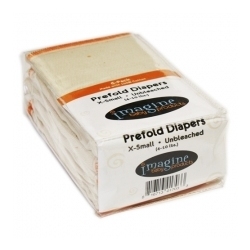 These prefold diapers can withstand many rigorous washings and dryings as well as can be used on multiple babies over the years. 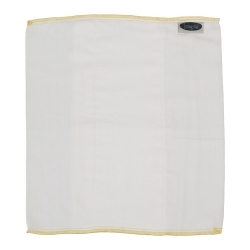 The uses do not stop there - and they can be used after the diapering years as cleaning rags!